There’s so much to hate about golf. The cost. The time it consumes. People who talk about golf. But the worst thing about golf is the notion that you can’t be successful in business unless you play it. It was a beautiful shot–absolutely beginner’s luck–and it was my finest moment as a golfer. But the worst thing about golf is the notion that you can’t be successful in business unless you play it. Rubbish. 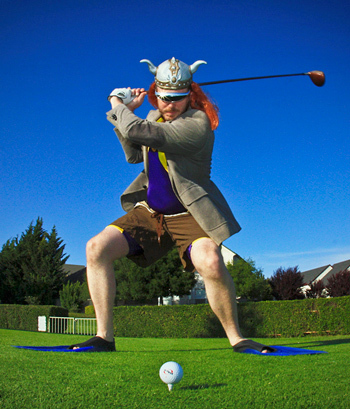 I think that myth was created by people who like to play golf and would like to keep playing–on company time. I get the premise–meeting a client out of the office provides an opportunity to connect on a personal level, find common ground, be a host, and connect in a more relaxed setting. The cornerstone of any work we do with leaders at the Center for Creative Leadership always starts in the same place–with an open and honest look at one’s strengths and weaknesses. Author Craig Chappelow is a portfolio manager at the Center for Creative Leadership (ccl.org), a top-ranked, global provider of leadership education and research.